In order to make changes to your own account, click on your email address in the top right-hand corner of your screen and choose “Account” from the menu below. On this page, you will see sections for “Security” and “Notification settings”. Manage external logins (Google, Facebook, Twitter) - you can link your Shyft to either Facebook, Gmail, or Twitter. Clicking on any of these buttons will take you to the social media’s login pages. You log in the way you usually would. Once you have linked your social media accounts to SurveyBot, you will be able to sign into your account more quickly, eliminating the need for login credentials every single time. 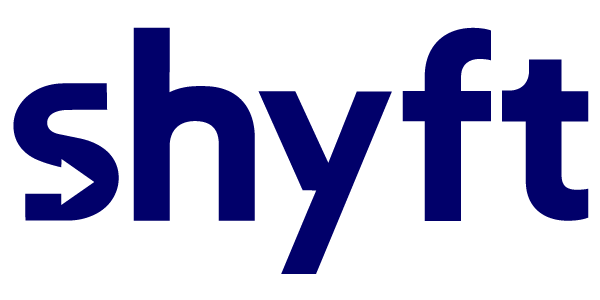 Shyft will not post to your respective accounts, as only the minimum permissions are requested in order to verify your identity. Add authentication factor - this is used for two-step verification: every time you sign in, your phone receives a code to be inputted into the website, enabling reinforced protection. In the Notification section, you can choose in which cases you want to receive emails from Shyft. So, you can choose whether you want to be alerted when the customer uploads media to the survey, when a collaborator is added/removed, or when the user is added to or removed from the group. And, you can always change measurement system from metric to imperial, and vice versa. WHEN SHARING A COMPUTER: Make sure you are logged in under your name and log out once you finish the survey.